I am 12 weeks along! Went in for my first ultrasound and my Doctor said "uh oh...you see what I see?" "......two??" 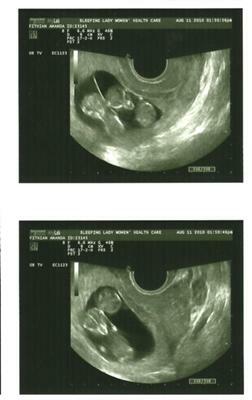 Sure enough there were two little babies!!! We are completely beside ourselves. This is our second pregnancy and we were thinking our last pregnancy and got a surprise for sure!! Cannot wait! Comments for My Little Aliens!